PlayStation Plus members had quite a ride on the month of September 2017 with games like Handball 2016, Hatoful Boyfriend, inFamous: Second Son, Strike Vector Ex, Truck Racer and We Are Doomed. 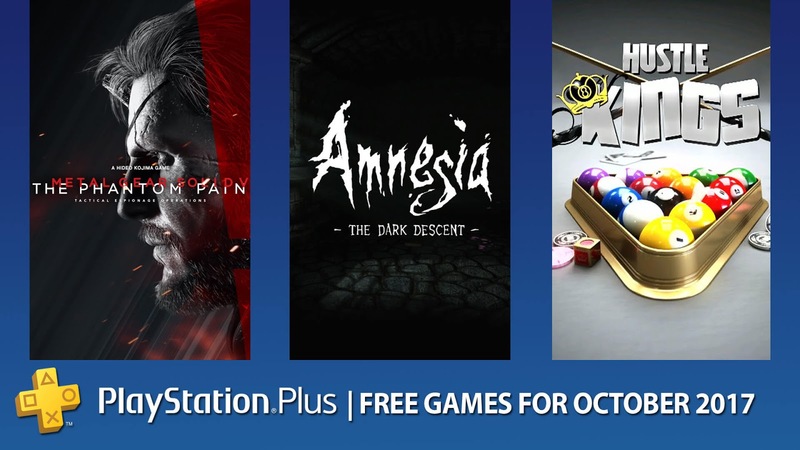 As PS Plus has a different package to offer every month, we are here with two completely different titles. They are Metal Gear Solid V: Phantom Pain and Amnesia: Collection. So, we can assume that the month of October brings out the flavor of action-adventure stealth blended with survival horror theme. Before we get to it, let's take a quick glance at the October 2017 lineup for free games on PlayStation Plus. We have told you this on August, reminded you again in September that the party game That’s You! is still up till October 23, 2017. That means, if you still haven't gave it a try and have fun with the company of your friends and family members, then you have less than one month to do it before it leaves PlayStation Plus. So, grab your TV, PlayStation 4 and Android/iOS phone or tablet devices and join the party. Already counting Metal Gear Solid V: Phantom Pain and Amnesia: Collection, the October 2017 free games lineup for PlayStation Plus subscribers are listed below. Our first topic today is Metal Gear Solid V: Phantom Pain, which is a continuation of Metal Gear Solid V: Ground Zeroes. The game is pretty good just like any other that belongs to the series and you already know it if you have played it whether or not you have a PS Plus membership. Even if you haven't, then this is a perfect opportunity to try this out or if you already have, then you can just re-live those old memories again. We then move on to the second attraction of our list, which is the Amnesia: Collection. This one got both The Dark Descent and A Machine for Pigs in it. If you are not afraid of the dark, probably this collection is just for you to try on. So, get your socks on to get lost into the darkness of memory and a lot of mess. Since October marks the one year anniversary for PlayStation VR, the PlayStation Store is in a celebrating mode and they are offering free games and exclusive discounts. To get more details on this, visit PS Store on October 10. Oh, and RIGS Mechanized Combat League is free for all PS Plus members to play till November 7. So, get that for yourself while you can before it is too late. What else we got for you? 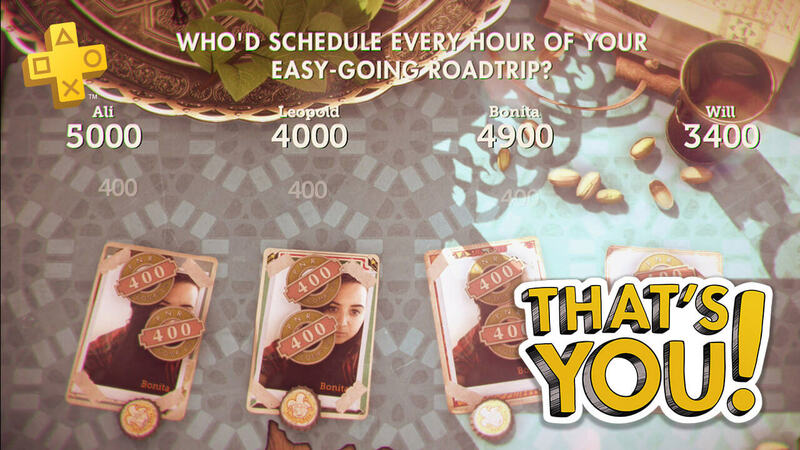 Well, unless you are a fan of turn-based-strategy collectible card game we have nothing! On the contrary, if you do, then we may have something left just for you and one more thing; you have to have a PS Plus membership for this one too. If you fulfill the above mentioned requirement, then we got Hand of the Gods Closed Beta from the creators who are responsible for games like SMITE and Paladins, which will be starting from October 17. You can also get a Plus Pack that will be available prior to November 14. We've talked about so many good games that you can enjoy this upcoming month of October for free and now, let's talk about some discounts. Shall we? You can have a 30% off on both Final Fantasy XII: The Zodiac Age & Titanfall 2: Ultimate Edition before October 3. Now don't tell me that wasn't sweet! As for a first-person shooter video game and 2014's Titanfall's sequel, Titanfall 2 is doing pretty good upon its 2016 release even though it has faced some serious competition from other major releases like Battlefield 1 and Call of Duty: Infinite Warfare. However, Titanfall 2 survived the onslaught and received positive reviews. 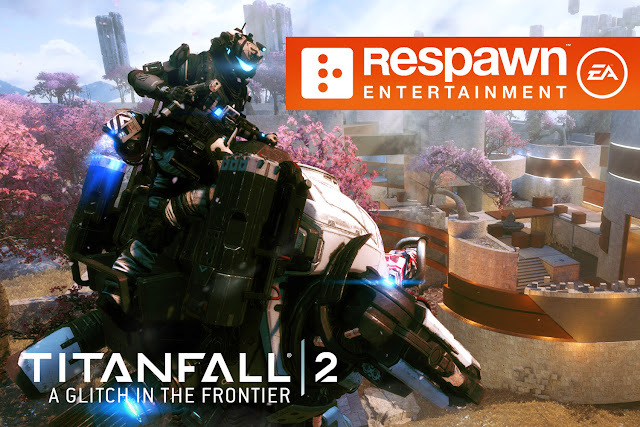 For some time, developer studio of the game; Respawn Entertainment has been running campaign of free updates and following that stream here comes another DLC. The free DLC titled 'A Glitch in the Frontier' is the latest in the line of Titanfall 2 updates and here is the gameplay trailer to showcase the highlights. The DLC features a new map called "Glitch", which justifies its name sake and there are four brand-new featured modes; 'Glitch 24/7', 'Marked for Death', 'Titan Brawl' and 'Iron Last Titan Standing', each designed to give you a variety of playing. Respawn has improved the gaming system for better and couple of fixes are added as well. The menu is worked on, crush issues for PC has been dealt with and a bunch of miscellaneous problems has been taken care of. You will be able to read out the detailed patch notes of 'A Glitch in the Frontier' on Titanfall Forum. If you own the Titanfall 2 game, then you should go ahead and give it a try for sure. Published by Electronic Arts, Titanfall 2 is released on 2016 for Windows PC, PlayStation 4 and Xbox One.